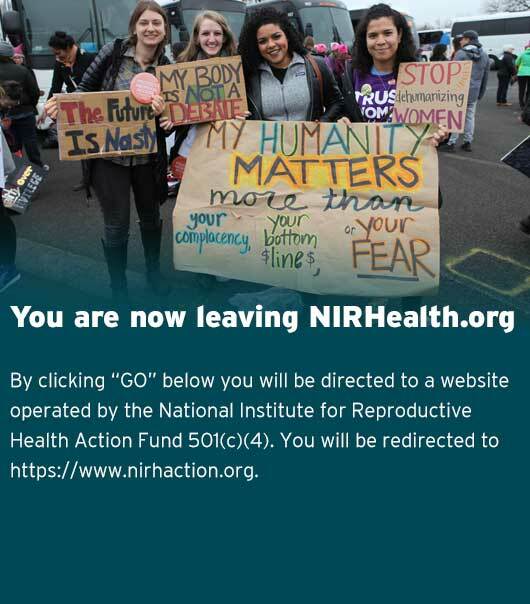 NIRH is committed to expanding access to underutilized forms of contraception, including IUDs and implants. Though offering immediate postpartum LARC to patients who want this method is considered a best practice, barriers including policy, reimbursement, and lack of education for both providers and patients, and the challenges of implementing this service, have made it so that the majority of hospitals do not provide this service. With the support of NIRH, partners like Young Women United, Southwest Women’s Law Center, Planned Parenthood Rocky Mountains and the New Mexico Perinatal Collaborative in New Mexico, Vanderbilt University, SisterReach, and University of Tennessee-Knoxville in Tennessee, and the University of Utah in Utah have successfully advocated for policy change that increased reimbursement for these methods in a postpartum setting. Our partners in New Mexico and Tennessee worked with their respective Medicaid agencies to separate reimbursement for LARC devices, which are very costly, from the standardized payment bundle assigned to postpartum care. This allows providers and hospitals to be fairly reimbursed for both the device and the procedure. Both of these states also have coalitions that include reproductive justice organizations to ensure that expanding access to care is done in a non-coercive, patient-centered way. All of these states are continuing their work in policy and implementation to expand access and choice in 2018.